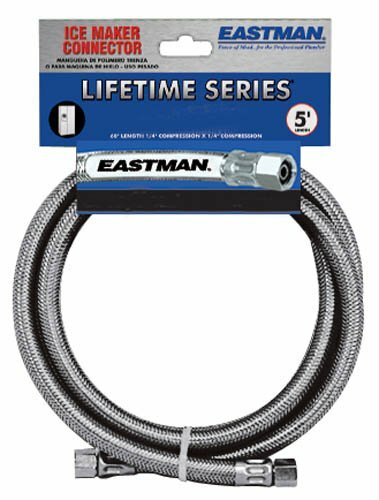 Eastman's 10' Stainless Steel Icemaker Connector is the standard in icemaker supply lines. Its quality is determined by what you can't see. The supply line features a plc. core, multi-filament braided nylon reinforcement, a clear vinyl outer shell and a grade 304 stainless steel braided exterior that is designed to prevent kinking and crimping. This flexible supply line resists corrosion and is easy to install.